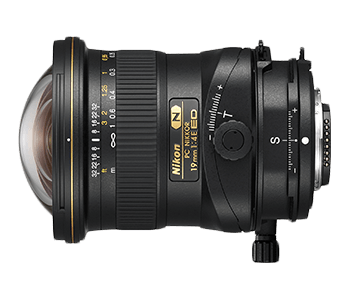 The PC NIKKOR 19mm f/4E ED is a high-performance, ultra-wide-angle 19mm lens with perspective control, delivering an angle of view perfectly suited for capturing architecture, interiors and landscapes in detail-rich images. A first for PC NIKKOR lenses, this lens is designed with a new Perspective Control Rotation mechanism, enabling the direction of tilt and shift operation to be adjusted independently to complement diverse shooting situations. Its three Extra-low Dispersion glass elements, two aspherical lens elements and Nano Crystal Coat work in tandem to optimise sharpness and contrast, while the fluorine coat ensures easy maintenance and lens durability. With a 19mm focal length among the PC NIKKOR series lenses*1, the PC NIKKOR 19mm f/4E ED produces a dramatic ultra-wide-angle view, making it ideal for architecture and interior photography. 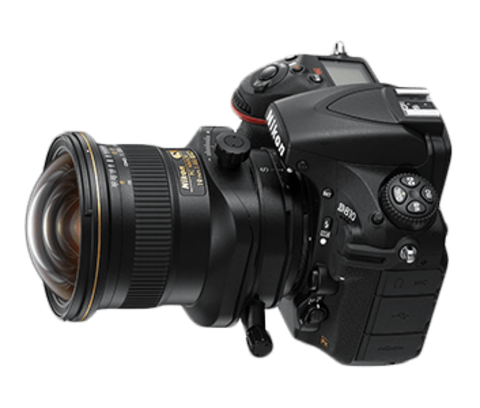 This high performance perspective control lens also lets you quickly adjust the optical axis of the lensindependent of your camera positionto bring an entire landscape into sharp focus, to alter the natural depth-of-field of a scene, to selectively focus on certain subjects, to offset perspective anomalies in architectural shooting, and more. 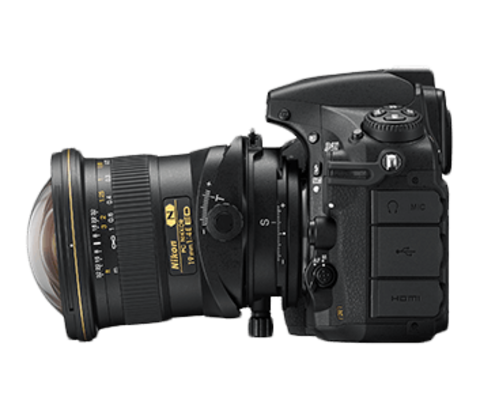 The PC NIKKOR 19mm f/4E ED delivers high-definition rendering, retaining superb resolution even at the periphery areas. Three Extra-low Dispersion glass elements reduce chromatic aberration to enhance sharpness and contrast, while two aspherical lens elements correct distortion. The Nano Crystal Coat with its high anti-reflection properties effectively minimises ghosting and flare effects even when light enters the lens diagonally, to achieve truly superior images. 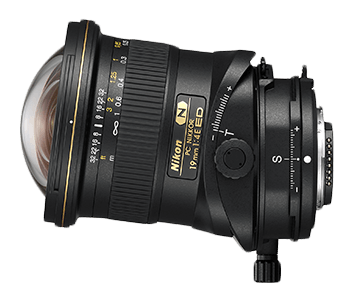 For the first time on PC NIKKOR lenses, the PC NIKKOR 19mm f/4E ED features a new Perspective Control (PC) Rotation mechanism that can be accurately adjusted based on the needs and intentions of the photographer. With this mechanism, the direction of tilt operation can be made parallel or perpendicular to shift, to suit a wide range of shooting situations. The rotating of tilt relative to shift can be rotated up to 90° with a stop at 45°. NIKKOR&apos;s original fluorine coat effectively repels dust, water droplets, grease or dirt for easy removal and maintenance on the go. The high peel-resistance performance provides extra durability, while the anti-reflective effect ensures clarity in images so you can capture your creative vision wherever your assignments take you. *1 The lineup includes four lenses: PC NIKKOR 19mm f/4E ED, PC-E NIKKOR 24mm f/3.5D ED, PC-E Micro NIKKOR 45mm f/2.8D ED, and PC-E Micro NIKKOR 85mm f/2.8D.